Contemporary, sharp lines combined with ease and functionality. Nothing gives your bathroom a more individual look like than a concrete trough sink! It is an adjustable design option that adds a touch of style and class to any bathroom. Moreover, this material gives your imagination a full freedom to use your creativity as it comes in a wide variety of sizes, colors, and shapes. Here is proof that it is time to change the way you think about your bath sink! 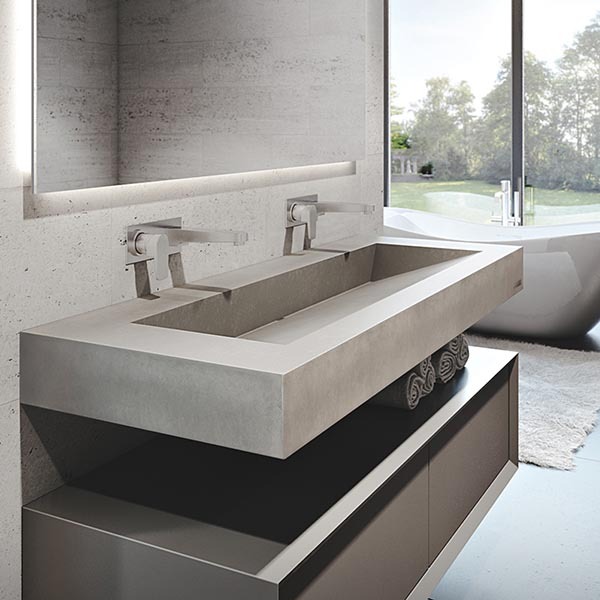 This beautiful light concrete trough sink would definitely become the centerpiece of your bathroom, completely capturing a flowing, cutting-edge aesthetic – with a distinct sensibility. Thanks to the wooden element, it became one of my favorite concrete trough bathroom sink ideas! 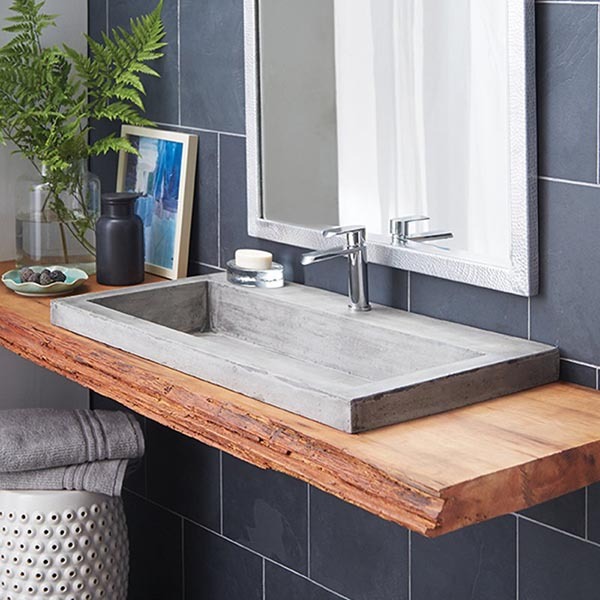 This is a classy, expensive looking wooden concrete vanity sink. 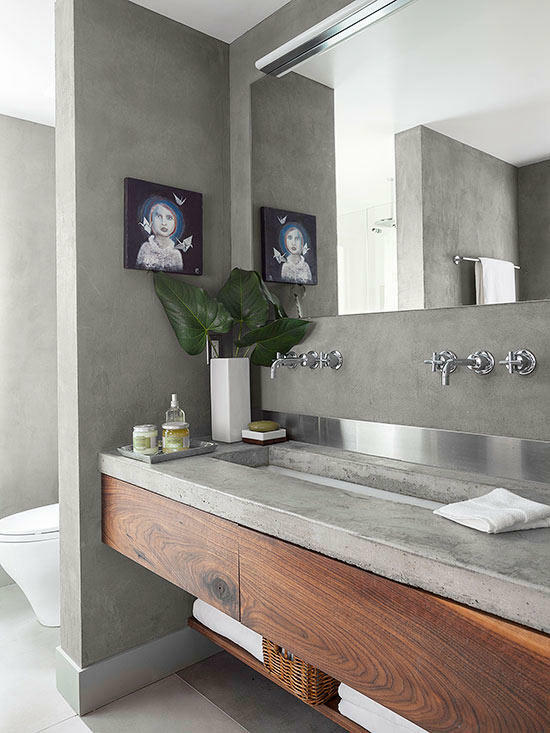 Complement the modish vanity with a hand-plastered countertop made to imitate concrete. Combine with some greenery for a smooth fuse of earthy and industrial. When I’ve shown this picture to a friend of mine, she was firm that this is one of the best concrete bathroom sinks she has ever seen! 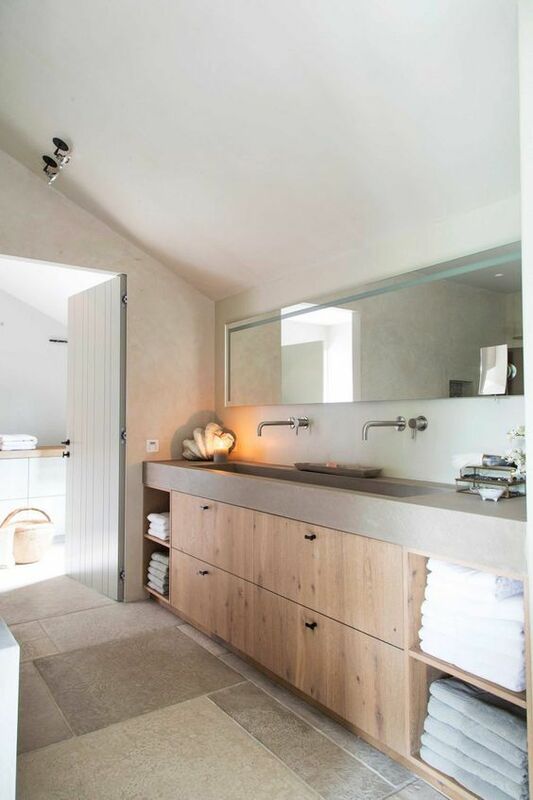 Ryen Duebber, the interior designer & architect behind this project, has created a handcrafted beauty, ideal for a more spacious bathroom – with plenty of room for family wash-ups. 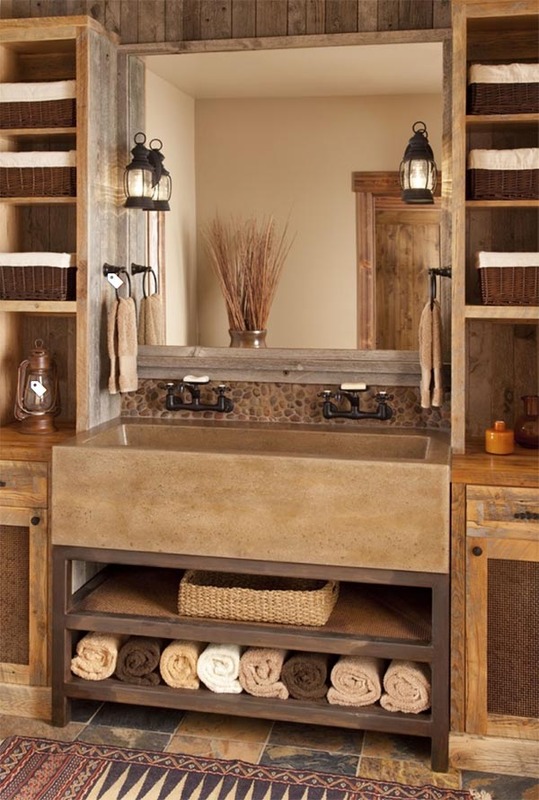 This cozy washroom interior brings a tranquil and neutral vibe that is warmed by natural wood accents. The light color concrete sink keeps the interior cozy and airy. Love the industrial lighting! For those of you who love doing everything at home by their hand (and have some free time during the weekend), here is a thought – why don’t you build a DIY concrete sink? The material is a heat resistant, durable, and you can implement your own style in this project. 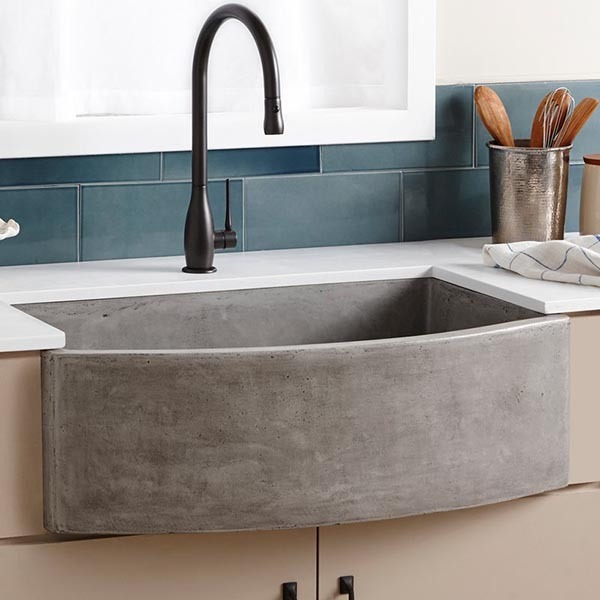 Miniature but robust, this concrete trough bath sink is a deep, single bowl kitchen sink perfectly sized for a kitchenette in a guest house, a kitchen prep sink, or for the utility room. This solid double concrete bathroom sink vanity with copper faucets is definitely the focal point of the bathroom. It is both practical and sculptural. Plus, it won’t cost much! 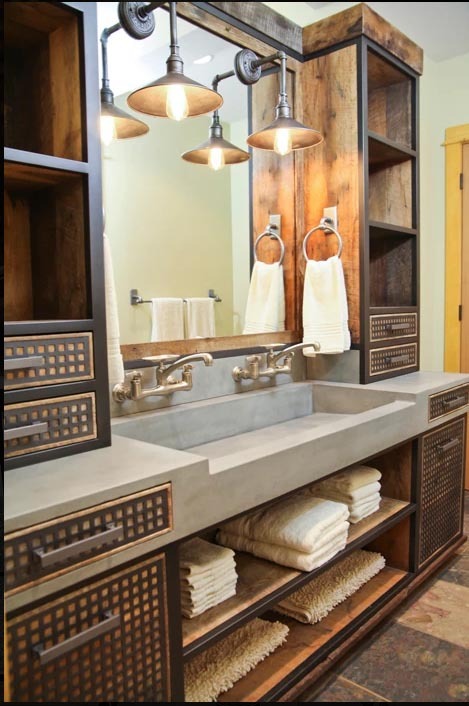 Thanks to the double concrete bath sink, the homeowners of this bathroom are enjoying a lovely mix of rustic vibe and a contemporary glamor. Choosing between two styles that we like is not necessary, the best is to find a way to blend them. Some of you may think that the concrete material doesn’t pair well with a rustic interior. But that’s totally incorrect! 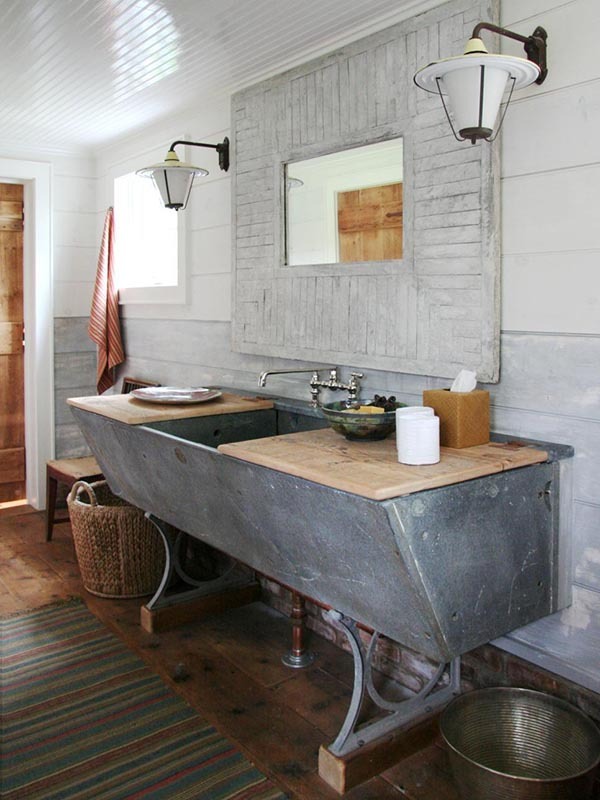 This light concrete trough bathroom sink with double vintage faucets is a proof. 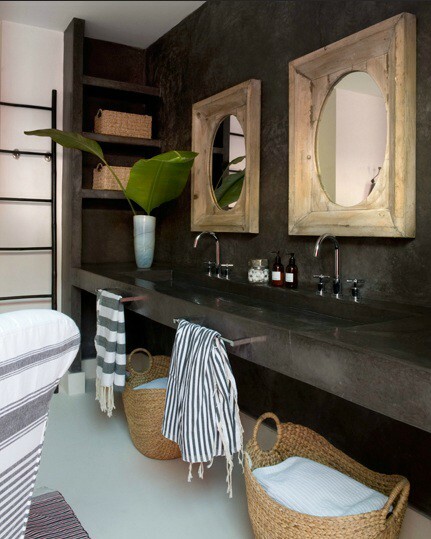 The peaceful vibe of this bathroom has been achieved by using appealing rustic wood mirrors on black stone walls over black stone floating vanity with concrete trough sink accented with modern gooseneck taps. This concrete double sink is thoroughly handcrafted and finished with a series of coatings for a warmer look. It gives the whole bathroom interior a more expensive, luxurious glimpse. 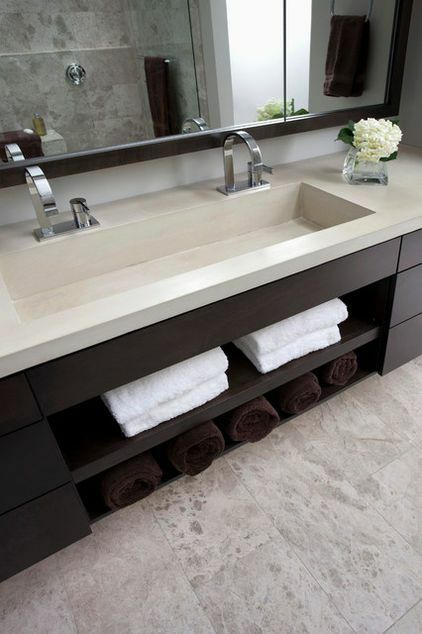 For those of you looking for some floating concrete bathroom sink ideas, I’ve decided to share this one! 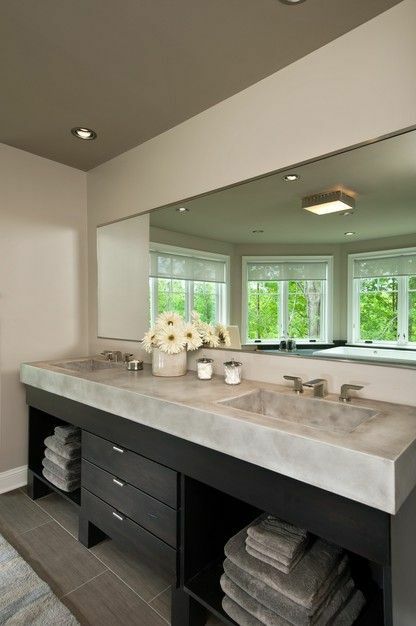 This 60″ double faucet concrete sink is an equivalent of a style and sassy. It would rather pair with a spacious, modern bathroom interior. 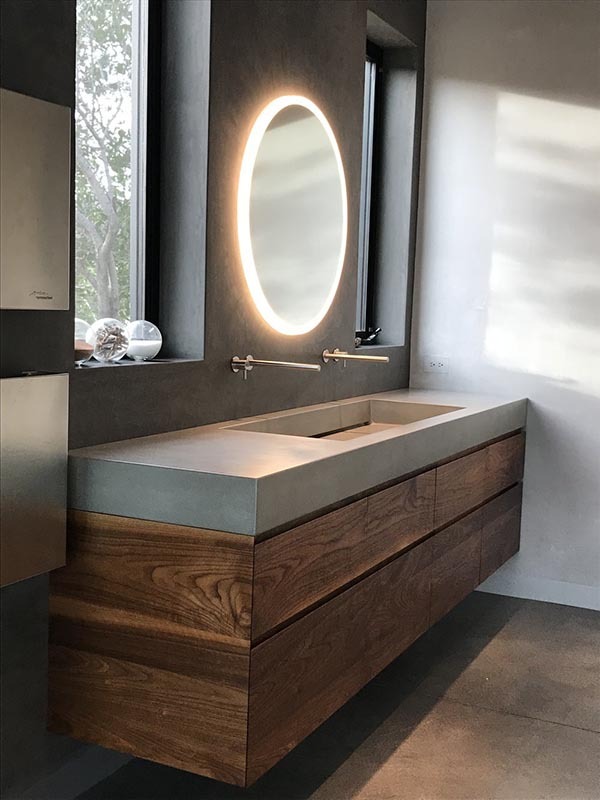 💡 Many homeowners see the advantages of using concrete, especially when they want to remodel the bathroom by creating a customized sink or vanity.